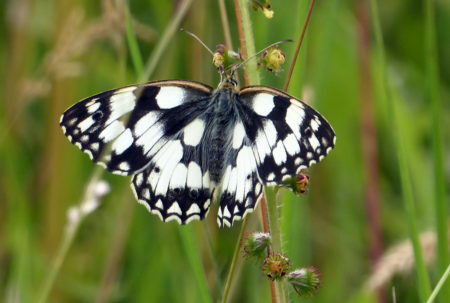 On Tuesday a large group of members and non-members gathered by the visitor centre at Lullingstone Country Park for our latest Tuesday nature “ramble”. It was pleasantly warm but rain was forecast from 1.00pm. 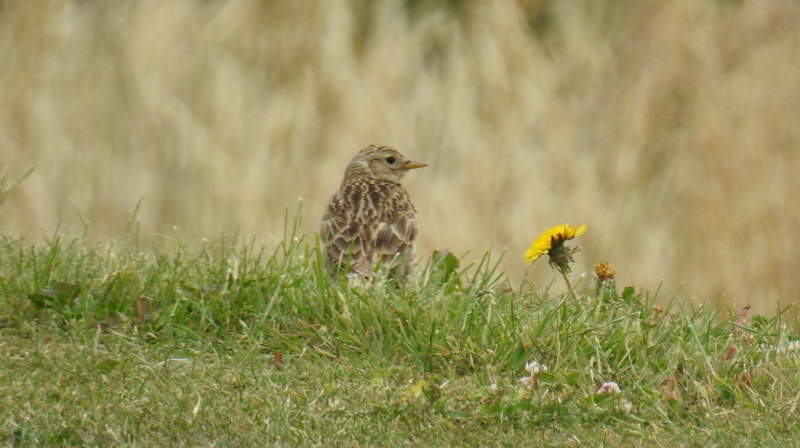 One of the first birds that we saw was a yellowhammer (and we heard its song, “a-little-bit-of-bread- and-no-cheese”). It was sitting near the top of a tree on the edge of the park overlooking one of the lavender fields – possibly the site for its nest. Yellowhammers have declined in recent years and are now quite difficult to find, but the 19th century poet John Clare knew the yellowhammer well. He knew it as the “scribbling lark” or “writing lark” because of the scrawled lines that mark the eggs. Anyway – so much for culture. Some of us also saw a bullfinch here, a good “tick”! 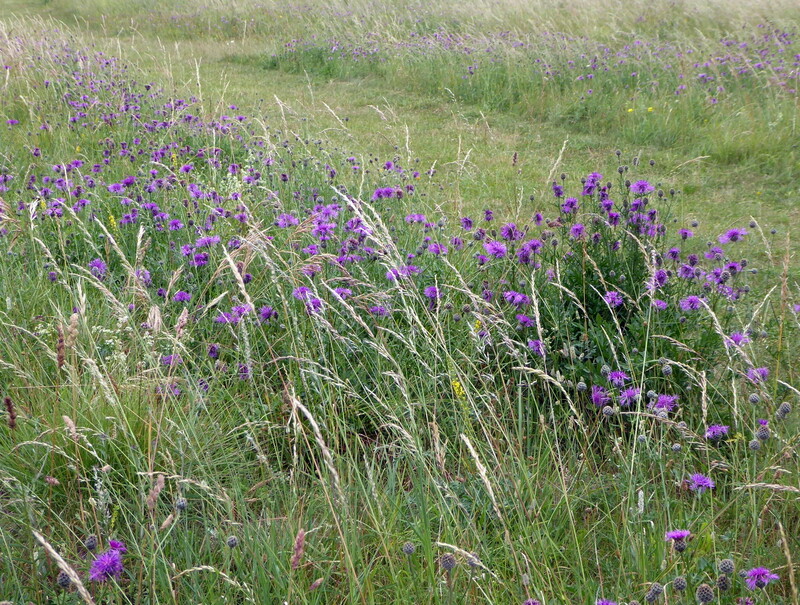 After this, plants and butterflies attracted our attention as we walked towards the “Orchid Bank”. Marbled White butterflies, Ringlets, Pyramidal orchids and large clumps of Lady’s Bedstraw were enjoyed by all. On the Orchid Bank we were pleased to find a number of Dark Green Fritillaries flying. 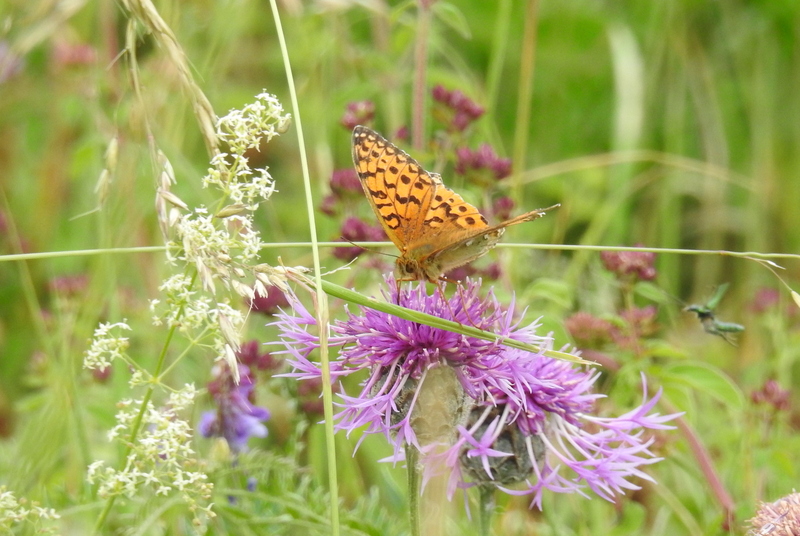 Occasionally they stopped to nectar on the Greater Knapweed flowers that were in full bloom. The long grass here must also have been home to a pair of skylarks, as their agitated behaviour suggested a nest or fledglings nearby. But we soon left them in peace and set off on our return towards the visitor centre. We briefly stopped at Lullingstone Castle to view the house martins that nest on the towers of the gatehouse and then the last part of our walk took us along the bank of the River Darenth – now much improved due to regular conservation work. Here we found Banded Demoiselles and other damselflies. Blackcaps were still singing all along the woodland strip on the other bank and in a large oak near the visitor centre we saw 3 treecreepers together. Which must mean that one (or two) of them were fledglings! For those of us that try to find evidence of successful breeding this was a great sighting. We returned to the visitor centre at 12.59pm – It started to rain (heavily) immediately! It was good to find that a couple of people had joined us having seen some of our advertising, others brought along friends and, of course, there were many of our “regulars”. Thanks to everyone that joined us, thanks to those that were able to help with species identification and other bits of information, and thanks to Sally and Terry for the photographs. Next month, Cliffe Pools RSPB reserve.